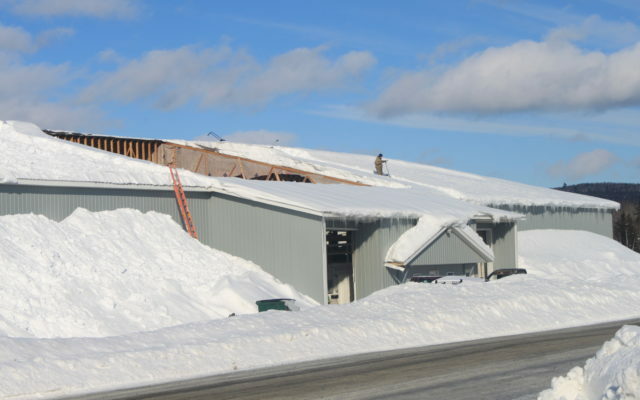 The roof of a Fort Kent potato house which farmer George Pelletier owns collapsed under the weight of snow on Friday, Jan. 25. FORT KENT, Maine — The roof of a Fort Kent potato house which farmer George Pelletier owns collapsed under the weight of snow on Friday, Jan. 25. The St. John Valley is on the way to accumulating record amounts of snow this winter season, putting all structures at risk for such damages. Pelletier rebuilt the potato house after it was destroyed by fire in 2014.